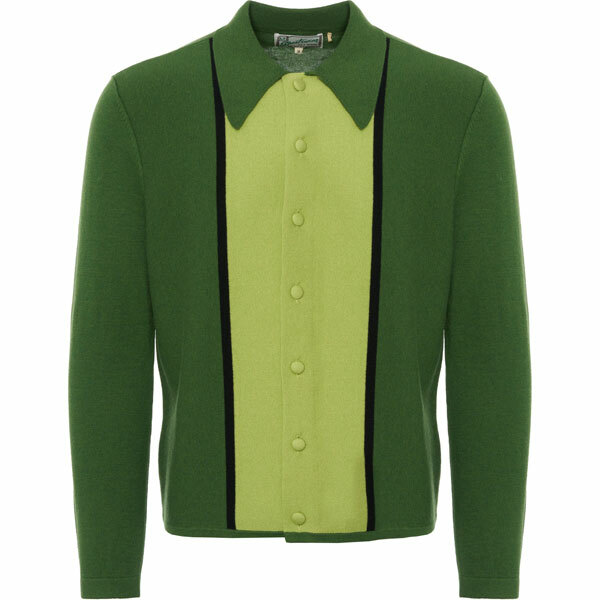 Now this is rather special, with this Levi’s Vintage 1960s long sleeve knitted shirt looking straight out of that particular decade. And as it’s part of the archive Levi’s Vintage range, it just might be as well. According to Levi’s, this particular top is inspired the Jamaican rockers and rude boys who travelled abroad in the 1950s and 1960s in search of the latest music and fashion to take back to Kingston. It’s also a tribute to the ones who stayed and added so much to our culture musically and sartorially. 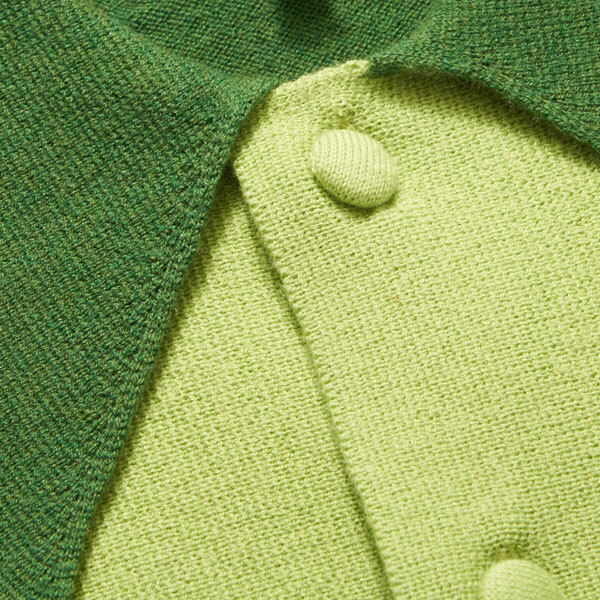 If you love the colour green then you are in luck as looks like that’s the only colour available for this 1960s-style knit. It’s something of a vintage shade and as such, works well with this design. 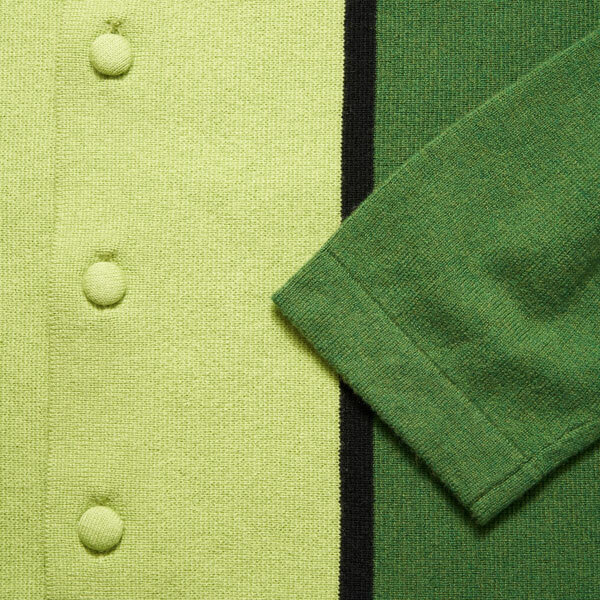 Talking of the design, this is a long-sleeve top with full-button front, polo colour and the contrasting shades of colour on the front. 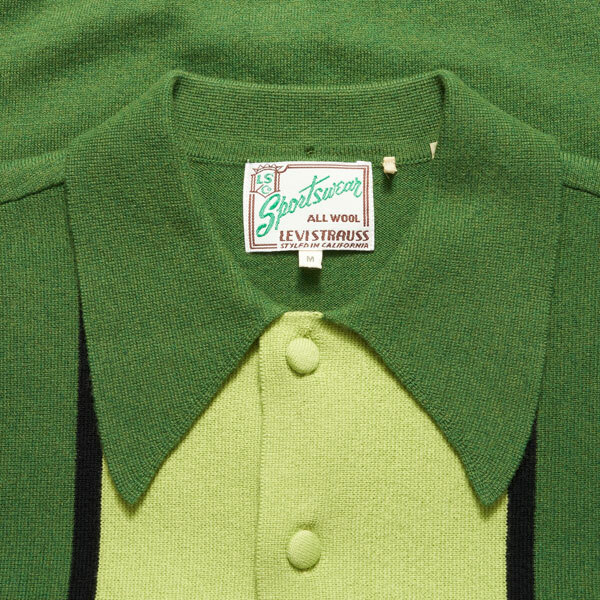 Love the covered buttons on here too, as well as the little details like the button on the back of the collar and the vintage Levi’s label inside. 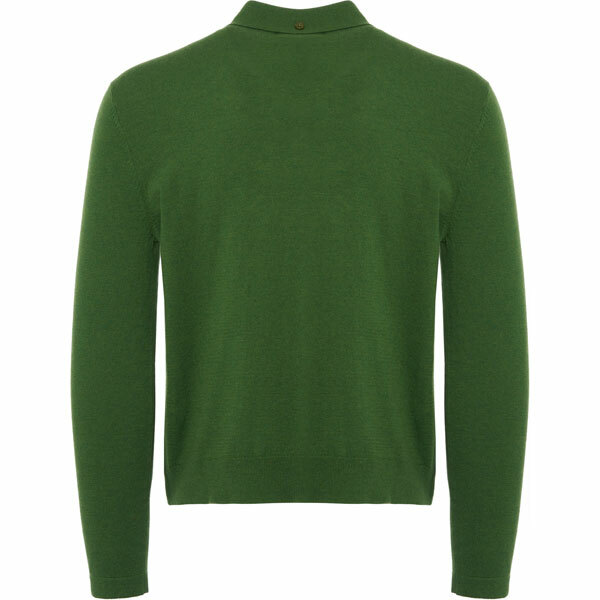 The top is made of 70 per cent wool and 30 per cent cotton and would probably work well now in the evening and for more everyday wear as the year progresses. The Levi’s Vintage range is always a little pricey and this is no exception. If you want one, you are looking at £150, with sizes from small through to extra large.